Tonight’s My Kitchen Rules Competition was a 3 way challenge between Eva & Debra, Emma & Jane and Ash & Camilla. The winner will go straight through to the finals rounds. The night was split into two rounds. The first round in the MKR elimination was a test of precision. The teams had to segment various citrus fruits with the winner gaining an advantage in the next round. Ash & Camilla won this challenge and they were able to decide who was to cook with which vegetable in the next round. The next challenge was a vegetarian challenge. There were three main vegetables Mushroom, Cauliflower and okra. Ash & Camilla chose mushrooms. They gave the okra to Jane & Emma and the Cauliflower Eva & Debra. Here is what they cooked. 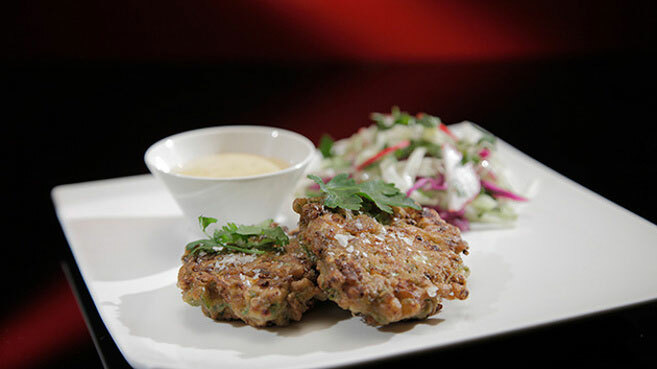 Emma and Jane made a Okra Fritters with Chilli Mayo and Asian Slaw recipe. Pete asked if there was enough okra in the dish, they replied with “There’s a lot of okra in there”. Pete said the okra got lost with the flour and cheese, the flavour didn’t shine through the dish. 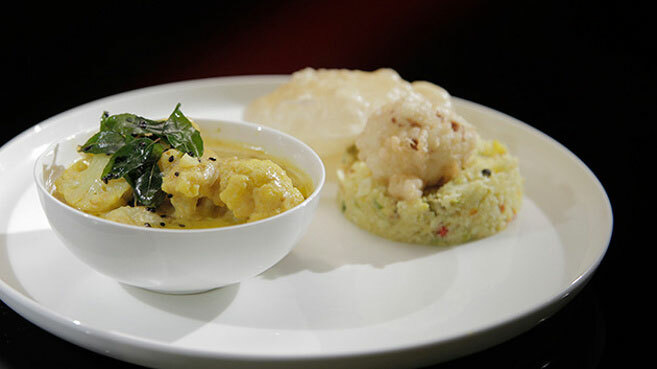 Eva and Debra made a Cauliflower Curry with Cauliflower Rice and Pakora recipe. Pete asked if they were happy with cauliflower. Evan and Debra said they were ok with the cauliflower. Manu said the curry was to die for, it was hearty, but the rice had too much going on in it. Pete agreed, he said if he could give them 11 out of 10 he would. Ash and Camilla made a Braised Mushrooms with Ricotta Gnocchi Recipe. The judges weren’t giving much away, they asked what was in the fritter, there was a lot of cayenne pepper in it. The dish looked “absolutely gorgeous”. The gnocchi was ‘sensational’ as good as Eva & Debra’s curry. The wafer was over powering. 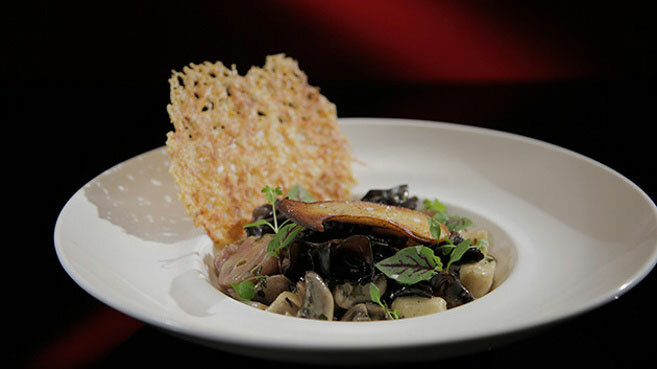 Ash and Camilla Braised Mushrooms with Ricotta Gnocchi Recipe. There wasn’t much between two of the dishes, but only one team was going straight through, and that team was Ash & Camilla. Who was eliminated from My Kitchen Rules tonight? It is round three and it is sudden death, one team will be eliminated tonight. It was Eva and Debra vs Jane and Emma. They had to cook their signature dish and they will be judged by all the judges. Eva and Debra made a braised ox tail with roasted bone marrow recipe. The meat was falling off the bone. Karen loved the flavours in the dish and said the bone marrow was roasted perfectly. The rest of the judges thought it was cooked perfectly and the flavours were delicious. They noted that the plating was a bit clumsy. Jane and Emma made a sweet potato pie with raspberry sorbet. The judges said i was a pretty dessert, it was restaurant quality plating. The sorbet was great, it had the right texture and had lovely flavours in it. Karen didn’t mind the pie, but wished there was more of a sweet potato taste. It had lots of spice flavours in it. Jane and Emma were eliminated from My Kitchen Rules tonight. Eva and Debra are safe and are into the finals. Bit pissed off you let Ash and Camilla win when Parmesan cheese IS NOT VEGETARIAN!!!!!!!!!! !